Following are additional trade show resources and sponsored supplier listings to complement the articles and marketing ideas on this site – and further support your exhibiting needs. One-stop, expert display supplier providing a full range of exhibits and booth accessories to serve organizations of all sizes and industries. Knowledgeable staff provides exemplary service to meet event needs and ensure on-time delivery to each client's specifications. Something is always on sale at Camelback. A leading UK supplier of portable marketing and display solutions, PrintDesigns provides easy-to-assemble exhibition and display stands, roller banner stands and pop-up stands. PrintDesigns offers full concept-to-completion design services, expert advice and friendly, attentive customer support. ProExhibits designs, manufactures and supports marketing environments for events, trade shows, retail and mobile exhibits worldwide. ProExhibits utilizes expert designers, skilled production staff and vigilant project managers to ensure each client’s success. A leader in the design and build of high-impact exhibition stands for hire, Display Wizard (displaywizard.co.uk) specializes in bespoke stands that help exhibitors stand out at trade shows and events. Portable display stands, banner stands and pop up displays, are also available at competitive prices. A leading supplier of custom printed promotional items for trade show exhibitors. Personalized pop up tents, portable booths, banner stands, table covers and more. Upload your artwork or design online with rush production available. Specializing in trade show displays, custom exhibits, and trade show booth accessories, MODdisplays is focused on meeting tight deadlines with creative solutions. Transform the look of your trade show exhibit space with a pipe and drape system from Camelback Displays. Choose from a wide variety of styles, including the option to customize your backdrop drapery, for a fresh look at your next event. Select from a wide range of truss systems and options for all your exhibiting and event needs. 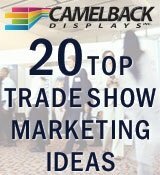 Camelback Displays offers hybrid exhibit truss, double-decker display truss, island exhibits truss, lighting truss, stage truss and more. A leading UK exhibition stand and design specialist, XL Displays offers an impressive range of pop-up stands, fabric displays, exhibition tablecloths, banner stands, and more. Shop online today and benefit from highly competitive pricing and award-winning service. Showplace is a recognized leader across Europe for the design and creation of mobile outdoor event structures and marquees, exhibition trailers and exhibition stands. The Showplace team provides the expertise and vision to bring ideas to life in any setting. Get free quotes on trade show giveaways from independent suppliers by simply completing a short form explaining your your needs and budget. This is a quick and convenient way to compare pricing and products from different companies with no obligation to buy. A comprehensive trade show resources association list, along with contact information for each organization. Includes the latest news, trade show resources and articles to help exhibitors maximize trade show success. Provides an extensive collection of trade show resources, promotional ideas, vendors, news, tradeshow books, and other marketing tips. Trade show resources including booth attractions, giveaways, booth design, transportation, and more. Specializing in helping results-driven organizations increase name recognition, attract more buyers, maintain current customers, and build effective marketing organizations. Sowder Drone Photography provides stunning aerial video and stills for special events, promotion, tourism, television production, and real estate sales listings. Sowder Group Marketing and Media provides advertising and media buying services that build brand strength, attract more customers and drive business growth. 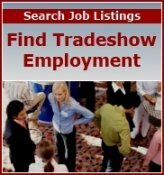 Please Note: The trade show resources listed in this directory are not affiliated with Trade-Show-Advisor.com. 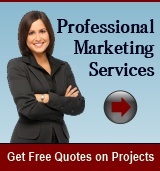 The site publisher/owner accepts no liability for worked performed by the suppliers listed on this page. Always research any product, company or individual whom you may hire. Evaluate previous work, check references, inquire about pricing, and get to know your key contacts to ensure a successful, productive relationship.